Donald X. Vaccarino’s deck building game. For more information see BoardgameGeek and Rio Grande Games websites. There is a nice overview at Game Cows. 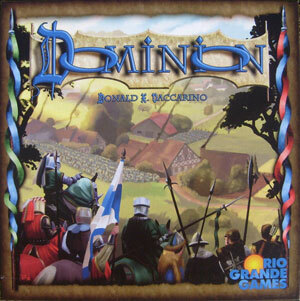 Dominion was featured in 2014 and 2015.